As a volunteer for Slow Art Day, I am constantly reminded to admire art slowly, which has inspired me to explore the thriving global community of urban street art online and around my home in Boston for hours every week. By doing so, I have discovered numerous inspiring artists, including Stephane Jaspert. 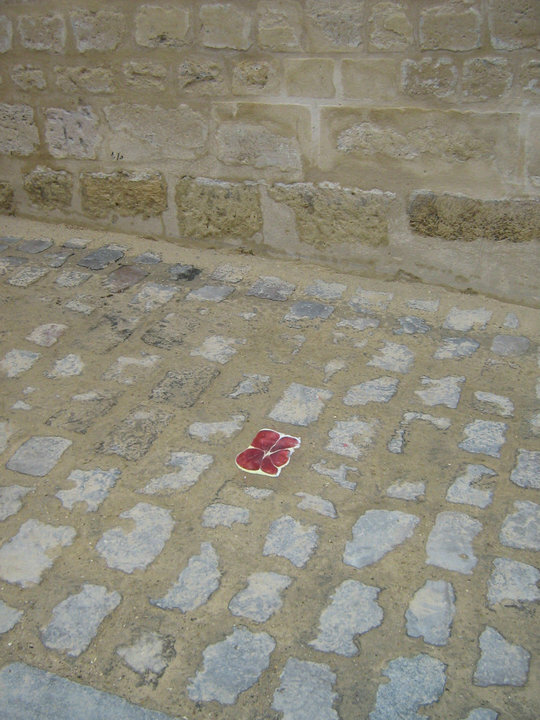 Jaspert removes loose cobblestones from Paris and replaces them with carefully painted rocks from his studio. 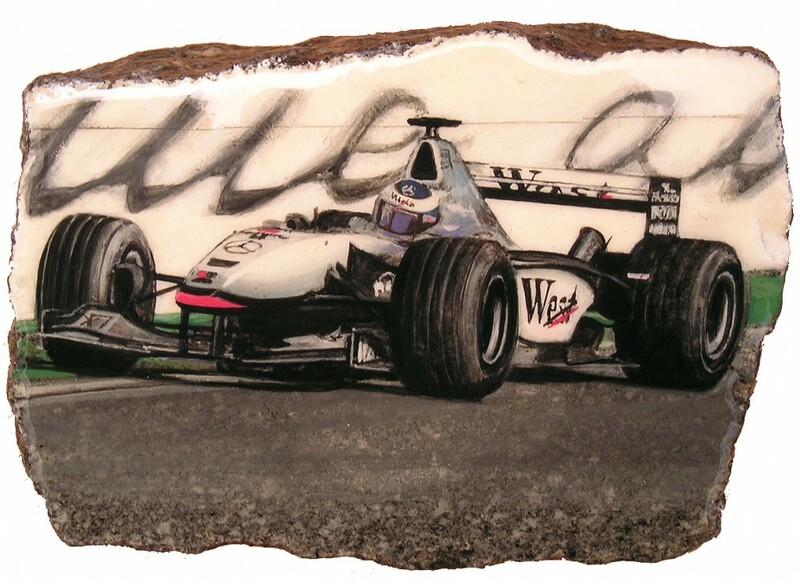 He adorns these rocks with images and symbols from popular culture, which represents the thousands of visual stimuli that inundate us on a daily basis. 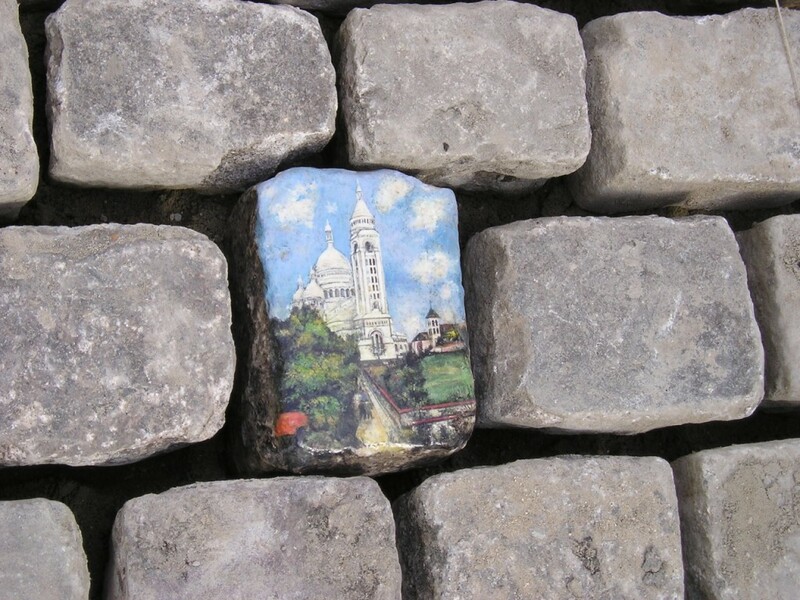 He is drawn to cobblestones because they are enduring ancient materials steeped in history. 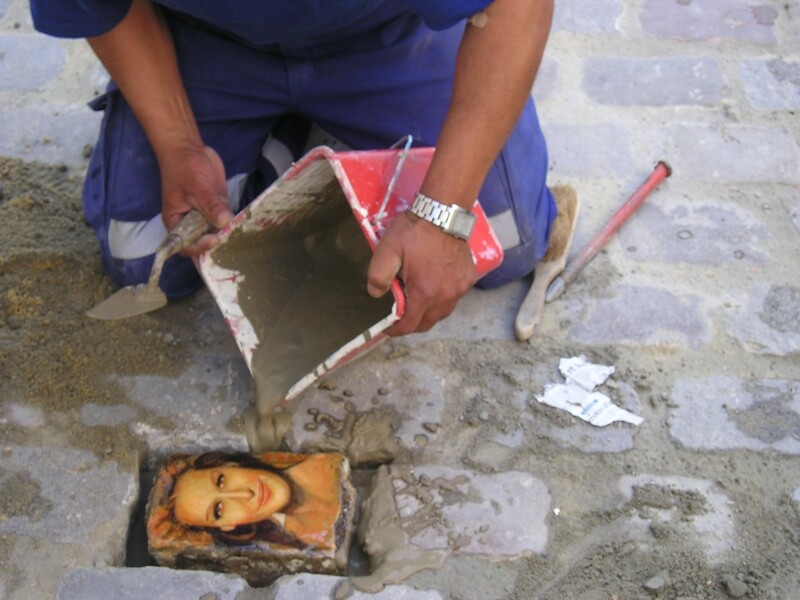 He creates a fascinating tension by highlighting the dichotomy between the strong stone materials and his paintings that will inevitably be removed by the city, or washed off by pounding footsteps and raindrops. I reached out to Jaspert through Twitter, which led to a great dialogue about his process. He shared an anecdote with me about his experience in 2005 installing one of his pieces, Formula One. 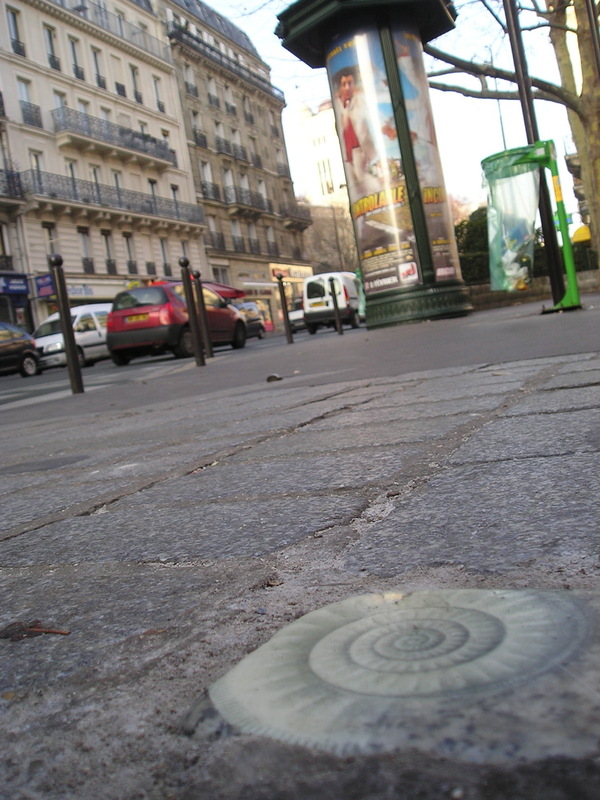 This particular cobblestone was adorned with an image of a Formula 1 racecar (pictured below), which had to be installed in front of the city hall of the 4th “arrondissement” (one of Paris’ 20 districts) with a bit of deceit. 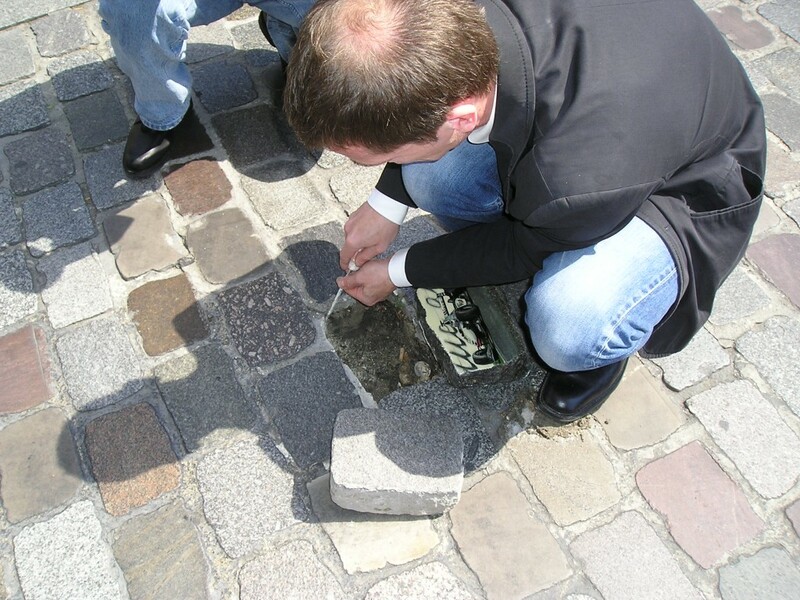 He related to me how he used his son’s stroller to block the view of a police officer who might have stopped him from removing the loose cobblestone and replacing it with Formula One. 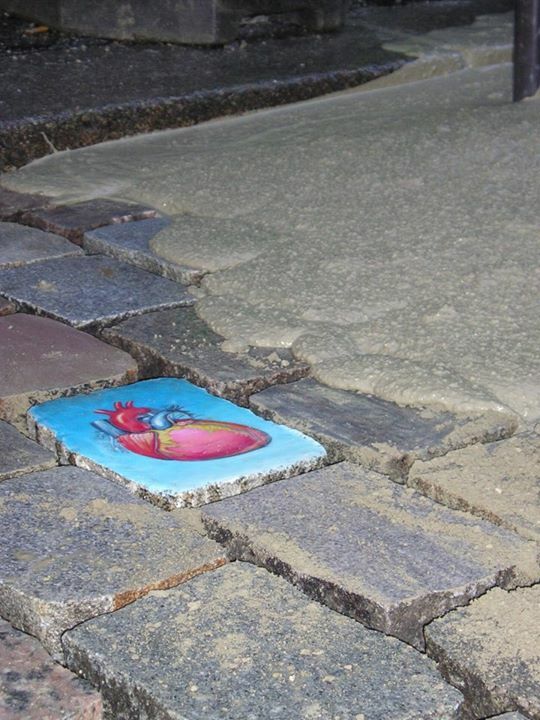 He also used the stroller to store the cement and water bottle needed to complete the installation. I encourage Slow Art Day fans to visit his website, or follow him on Facebook or Twitter to learn more about his work. Who are some of your favorite street artists? Leave us a response in the comment section! I love this type of work. Street art at its highest form.